Covenant Relationships: Why Do We Get Married? The wedding industry keeps expanding despite the negative media that has followed a number of marriages. I find new pages of interesting wedding businesses on my Instagram all the time and I must confess I get lost in the beauty of each story. Apparently love hasn’t lost its charm on me. I still feel the same kind of genuine awe when I see two people in love taking that step into forever. My insides even get warmer whenever I see elderly people that have stayed committed to one another for a long period of time. It gives a feeling of hope in the middle of all the troubling stories that have been in the media. There are so many negative stories of betrayal, violence and lies. A married person is sometimes portrayed as being in a self-imposed prison. There are so many memes poking fun at the married life. I read a post the other day about polyamory and I honestly can’t believe that people were seriously trying to find justification for infidelity. It is very much like what Ashley Madison and similar sites were offering. Showtime even has a show called ‘Married and Dating”( a show that features married couples that are in other relationships). The rising debate that man isn’t monogamous in nature is indeed troubling. Don’t even get me started on all the things one is said to miss out on, one of it being one’s sense of independence. If men are such unruly animals as some of these debates try to portray, or if marriage is such hell and as boring as some people paint it out to be, then, why do people still get married? Why do we go through the pains of planning our lives together and taking oaths in front of families and friends? Should it not be enough for us to profess love for one another and just live together without the weight of a certificate and the need to live within certain boundaries? 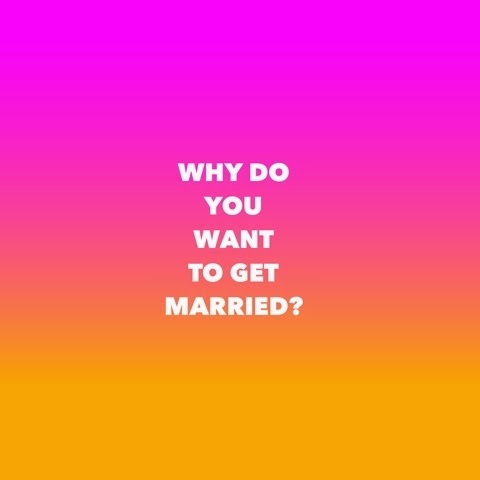 I found out there are so many reasons why people get married. Some people get married because they feel their biological clock is ticking or for financial security, some get married because it is what every of their friends is doing. 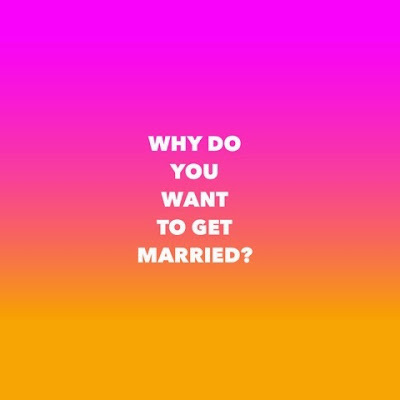 Some get married because it seems like the right thing to do while some get married because their families and friends think they ought to. Some get married because it gets lonely at night (and the fear of viral diseases make multiple partners less desirable) others get married because they have found that special person and they want to fulfil God’s call for man to multiply. Of course not all these reasons make sense but I have found out on the top of that list lies man’s need for companionship, love and understanding.There is also the need to have and raise children in a stable environment. 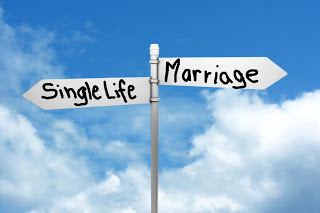 It can be argued that this doesn’t necessarily have to be within the confines of a marriage but the exclusivity of marriage and its seriousness make married people more dedicated towards the fulfillment of these goals. Also many of us understand that getting married is like taking a step of faith, the cons are not enough to discourage us. Marriage is an institution that God is interested in (Matt 19:4-6). Many things might have gone wrong that make it all seem like a bad idea but when we commit our relationships into God’s hands and apply the right attitude, we can build relationships that will give us a deep sense of love and fulfillment thereby making other people believers. Whenever the time comes, whatever the case may be, please get married for the right reasons.